Sorry for the delay but here's a new weekly update. Per usual the last week has been quite busy. Flavien has made significant progress on the networking code, unfortunately there isn't anything to show, but it's starting to come together. Despite the progress being made there's still a good chunk of work left concerning client-side prediction and server-side latency compensation. Both are very important for smooth multiplayer gameplay but are equally tricky problems to solve. These improvements should be fairly noticeable once we release the next patch to Developer Access+ backers. Unfortunately for me last week was one of those weeks where I had to take care of a lot of technical support, administrative stuff like accounting, and infrastructure issues. In mid September our forums went down for a few days due to one of our servers somehow getting magically corrupted. While everything is back up and running there are some lingering issues affecting new accounts that may prevent them from having proper access to the game and/or forums. These are being worked on and I hope to have everything back at 100% soon. 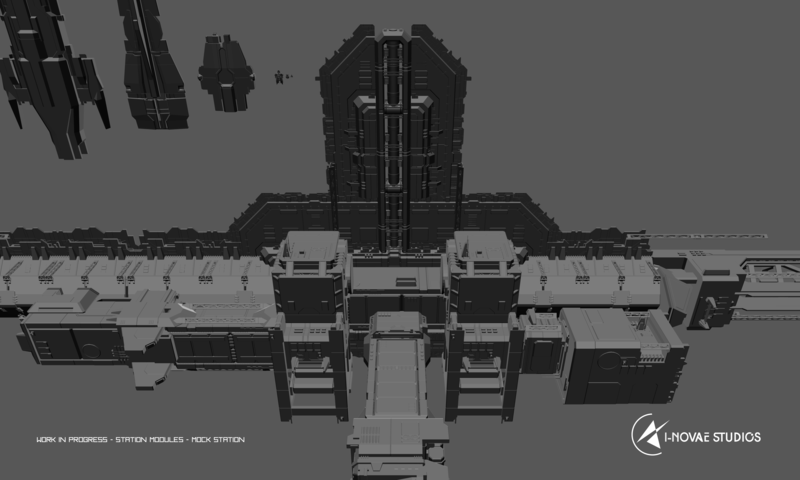 On the art side we're working on finishing up the corvette cockpit and we've started on the exteriors for the small ships. Kristian has also created some high level HUD mockups. These are focused on the broad look and feel. Composition of HUD items still needs a lot of iteration. The most difficult HUD item will likely be radar. Just like the visual style of Infinity: Battlescape we want our implementation of radar to be a blend of present day realism and futuristic sci-fi. Most of that will likely be determined by playtesting once we begin the Alpha. WOW! Now that is what I call a station!!! And the ships look amazing next to it. Actually they look all freaking amazing and the HUD looks very cool, not to mention the fire at the plant. Well done DEVs! + 10 more ! Shared to ED, SC, LTT and Descent forums. 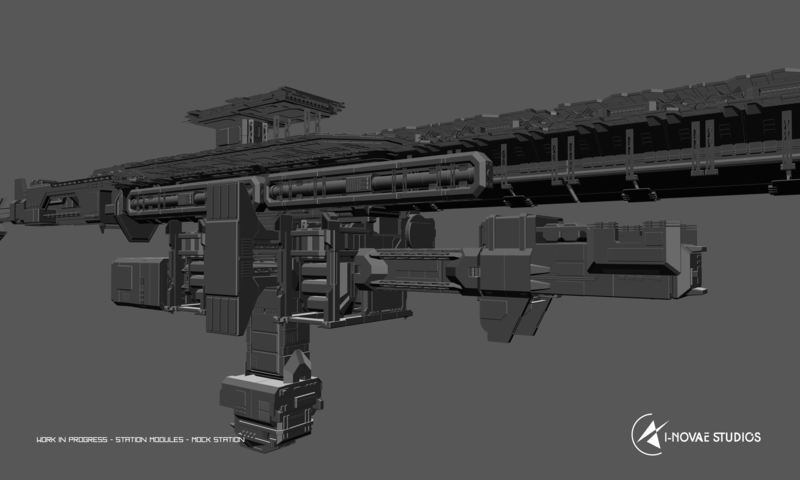 Maybe its time to dust sketchfab with some station and base models? Is that a missile indicator we see in the high level HUD? Fire is good, that means damage indicator for structures, and a step closer to creating the gameplay. 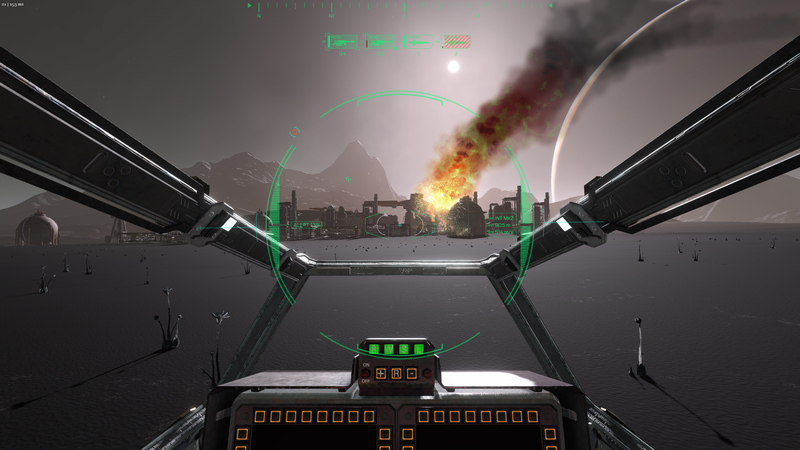 maybe think about integrating the HUD in the actual cockpit . you could fit the energy and speed bar within the metal bars. just an idea to not get more in the view. Ah, I see. But it does give some sense of upcoming gameplay - much appreciated. The HUD concept isn't finished btw, it's a WIP. 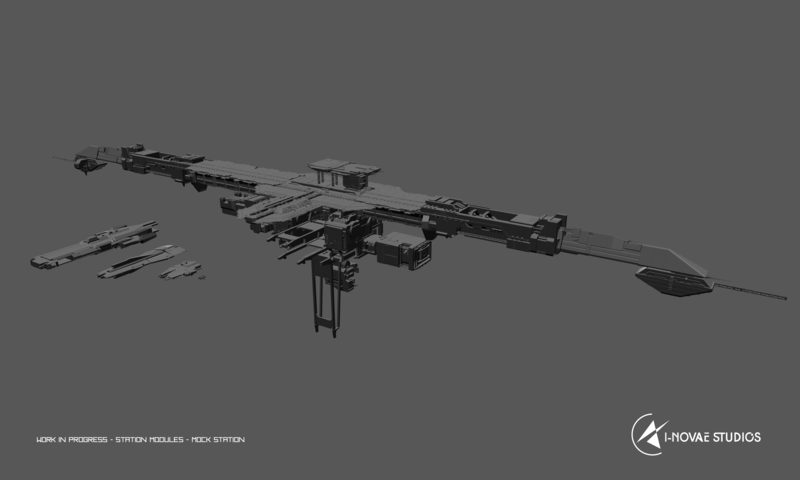 There will be more elements, like the comms window ( chat ), squad, radar, ship systems etc.. Some of those will only show up when needed to clear up screen space. Just a text chat and leaving voice to Discord, right? Big yes to this! Please keep this in mind when you start on the HUD. When you've spent this long designing the engine for visual wows, it would be a shame to clutter the screen with icons. The HUD should be minimal IMO, though still covering all the functionality needed might be a challenge. But I always say Simpler is Better! +10 for the missile named Diplomat. I hope that can make it into the game when they are implemented along with names like Negotiator or peacemaker for other types of missiles. Not only minimal but something that also doesn't break immersion. Playing a lot of Battlefront lately and finding the massive health bar at the bottom not only annoying but immersion breaking - almost as if they designed it for 10 year olds. almost as if they designed it for 10 year olds. They do. All the really big FPS titles are designed to attract a younger demographic as well as older players to help maximize sales, despite what trivial little things like 'age ratings' might say. *Then again, Battlefront is based off a relatively family friendly franchise to begin with. (It's owned by DISNEY of all people!) Why wouldn't it be designed for 10 year olds? As Keith selected his two favorite "Mock" station images, yet I prepared more I shall share them here, as I said I would. 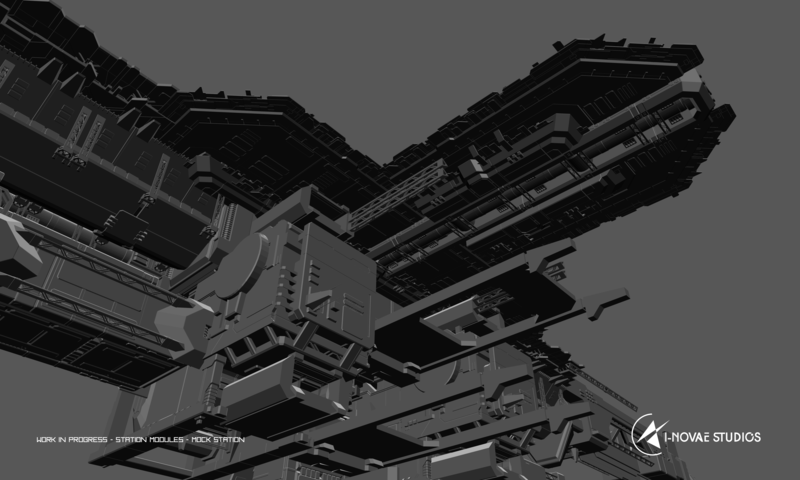 Currently missing windows, and some of the finer detail to establish scale, but the ships should provide some context. I guess what I should have said was 'exclusively' 10 year olds. Brilliant! But I have to say though, I prefer the middle shot without the bottom support. Not sure what possible function it has but maybe it looks better in game. But even with the support, that is some sick designing there - well thought out, detailed, balanced and clean. you could imagine such good stories and space operas settled in this universe/engine! All games as a woman, she is beautiful and intelligent you want to buy it. But the money is not important other important compatibility! Then there is overcompensation if all is well in the form of dlc a flat, machine, children, old age. It nice to see some honest developers around.